KSKA FM, (frequency- 91.1 FM) is a Public radio station provides National News and World News from Anchorage, Alaska, United States. It is a non-commercial radio station. This radio station began broadcasting from Grant Hall on the Alaska Pacific University campus in 1978. Alaska Public Media is the owner of this radio station. Basic Genres are; National News, World News, and Public Radio. This radio broadcasts 24-hours-a-day and reaches about 60 percent of the coverage area’s population. To get more information, visit KSKA FM website: www.alaskapublic.org. KSKA has been broadcast from Grant Hall on the Alaska Pacific University campus in 1978. In 1994, KSKA combined with public television station KAKM Channel 7, forming the parent company of the Alaska Public Telecommunications Inc. (APTI) and moved in with KAKM at the Elmo Sackett Broadcast Center in 1997. On July 1, 2004, APTI merged with the Alaska Public Radio Network (APRN) to become more well-organized by consolidating services. KSKA broadcasts 24-hours-a-day and reaches about 60 percent of the state’s population. 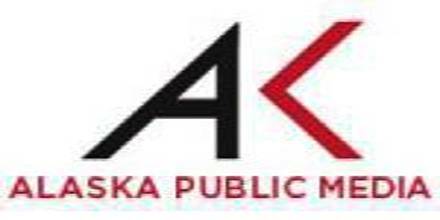 KSKA cooperates with KAKM in local initiatives and public affairs programming and APRN provides news content and direction for KSKA reporters and public affairs producers. The station airs public radio programming from the National Public Radio network and the BBC World Service. Car Talk (NPR), Fresh Air (NPR), NPR’s Morning Edition, Talk of the Nation, Science Friday, Weekend Edition Saturday, Weekend Edition Sunday, Global Business, BBC World Business News, The World Today, World Briefing, The World Tech, City Arts and Lectures, National Native News, Alaska News Nightly, Talk of Alaska etc. are popular news programs of KSKA Radio. Other popular programs are, A Prairie Home Companion, Beale Street Caravan, Marketplace, Wait Wait, Don’t Tell Me Weekend All Things Considered, Piano Jazz, Riverwalk Jazz, The Thistle & Shamrock, This American Life, Heart and Soul, Jazz Profiles, Blues Before Sunrise etc. KSKA makes use of broadcast translators to spread the signal across much of Alaska. If you would like to purchase a CD copy, please call 907-550-8400. AK- Unique stories about the quirkiness of Alaskan life that don’t make their way into the traditional news line up. Addressing Alaskans- Local lectures and forums recorded at public events taking place in Southcentral, Alaska. Alaska Edition- Alaska Edition is a weekly, half-hour news analysis program. We feature local journalists, opinion-makers, and experts from various fields. Alaska News Nightly- The day’s top news stories from across the state with reports from the Alaska Public Radio Networks 25+ member stations. Alaska Public Radio Network- This feed will give you everything published on the APRN site, including all the shows, stories, updates, and extras. Hometown Alaska- Weekly live call-in on KSKA, guests are typically local leaders or experts on community topics. Line One: Your Health Connection- Weekly live call-in program hosted by Dr. Thad Woodard, an Anchorage pediatrician and specialist in child and adolescent asthma practicing in Anchorage since 1980. Solutions Desk- Alaska, like every other state, has problems. But it also has solutions. Each week, the Solutions Desk highlights what’s happening around the state that’s making our communities stronger. Talk of Alaska- Politics, science, culture, and current events are covered by host Lori Townsend along with guests and callers. For messages about programming, news tips, promotions, underwriting, membership, or other operations matters, please contact staff at the phone numbers or email addresses listed below. Business Hours: Monday -Friday, 8 a.m. – 5 p.m. Closed most Federal holidays. 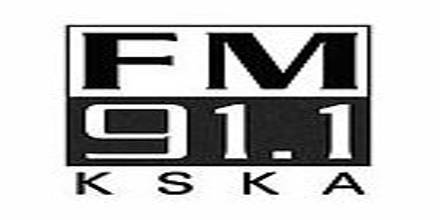 Liveonlineradio.net has KSKA FM Radio in its listings. Just click and enjoy. KSKA FM Radio – www.liveonlineradio.net/alaska/kska-fm.htm.